Joining Bruegel director Guntram Wolff for this Director’s Cut of ‘The Sound of Economics’ is Ana Palacio, member of the Spanish council of state and former foreign affairs minister, and Elina Ribakova, Bruegel visiting fellow at Bruegel, to discuss the exact nature of the migration challenges currently troubling the EU. Member States continue to operate their own independent, broadly disparate policies. Separating the concept of migration and refugees is also key to improving the general understanding of the challenges; likewise, being clear that the number of arrivals in the EU is now significantly lower than in 2015. There is also progress to be made in accepting that integration is a two-way street, and that legitimate concerns should not be written off without a hearing. 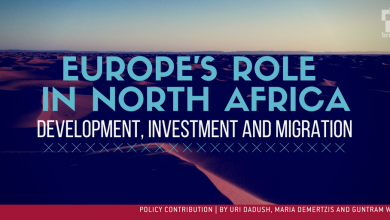 For further reading, consider the Bruegel Blueprint publication ‘People on the move: migration and mobility in the European Union’, which contains a wealth of research on the various challenges that immigration poses to Europe’s policymakers.